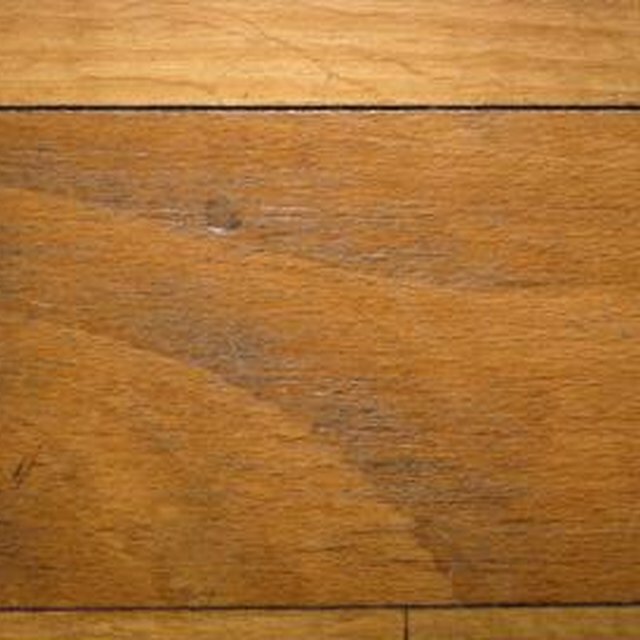 Steam cleaning wood floors is not readily recommended because of the damage it can cause to wood floors. Damage to wood floors is dependent upon the type of wood that makes up your flooring, and what kind of environment you live in. Statistically, damages are more severe when you steam clean and live in a hot and dry climate as opposed to a warm and humid environment. Speak with your floor's manufacturer about the possibility of damage to your hardwood floor from steam cleaning before you steam clean. Restoring shine to your wood floor after steam cleaning is a simple process that can be done with products you already have in your home. Mix the vinegar and vegetable oil in the spray bottle. Shake well. Spray the wood floor one small section at a time. Use the dry cotton rag to rub the mixture all over the area until the wood has absorbed the mixture. Use a different side of the rag to buff the floor. Repeat until entire floor shines. Heat up the vinegar to allow for better mixing. Shake the bottle after it has been sitting for more than 1 minute to mix the agents again. Think of restoring shine to your floor like cleaning a window. Spread the cleaning agent around, and then switch to a clean side of the rag to buff.